Tales from the Real OC (Really! 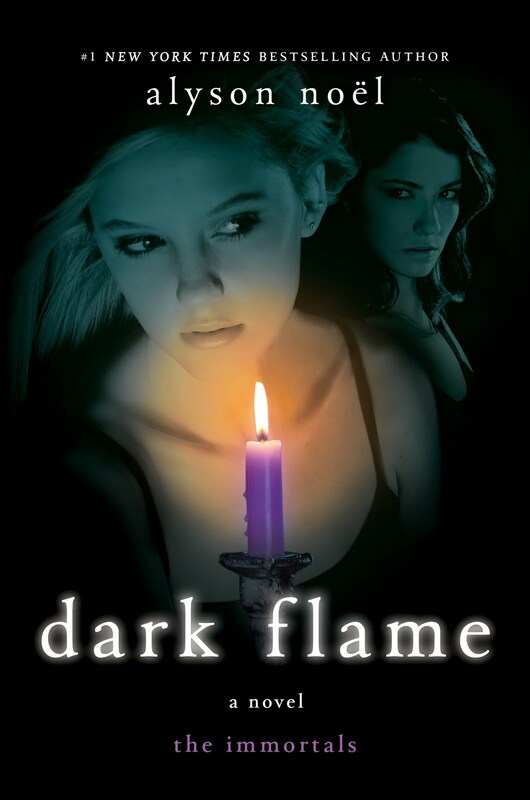 ): Dark Flame Excerpt #7! Ahh the countdown will soon be over! I was wondering what your opinion on this cover art is? OMG I'm so excited!!! I love the series, your one of my favorite autthors!! Can't wait! ims getting sooooooooooo excited!!!!!!! :) i can't wait!!!! Kai- Well, I like that it's different from the others in that it has 2 characters instead of just Ever & I like that it's dark because the story is kind of dark too . . .
Jenna- Thanks! I can't believe it's almost here! Thanks for answering my question! I think my favorite cover design is either Evermore or Shadowland :). I like the flower and the amulet! I got the best surprise today! One of my dad's cousins is staying with us for the summer, and my aunt told him I was excited for this book (Dark Flame!) coming out soon. Since he wasn't here for my birthday, which was in May, he pre-ordered Dark Flame for me, and got me book money! I am so excited! Kai- that is fantastic! And Happy LATE Birthday--hope it was great! SHADOWLAND & EVERMORE & RADIANCE are my faves of my covers so far--but I do like them all, so I feel pretty lucky to work with such a talented art department! Thanks, and I totally agree, the Radiance cover is a piece of art, it's gorgeous! As much as we all hate to admit it, the cover art can influence whether you initially read it, but you definitely lucked out there! Kai- It's so true! I'm not ashamed to admit that I have purchased books based just on the cover art!